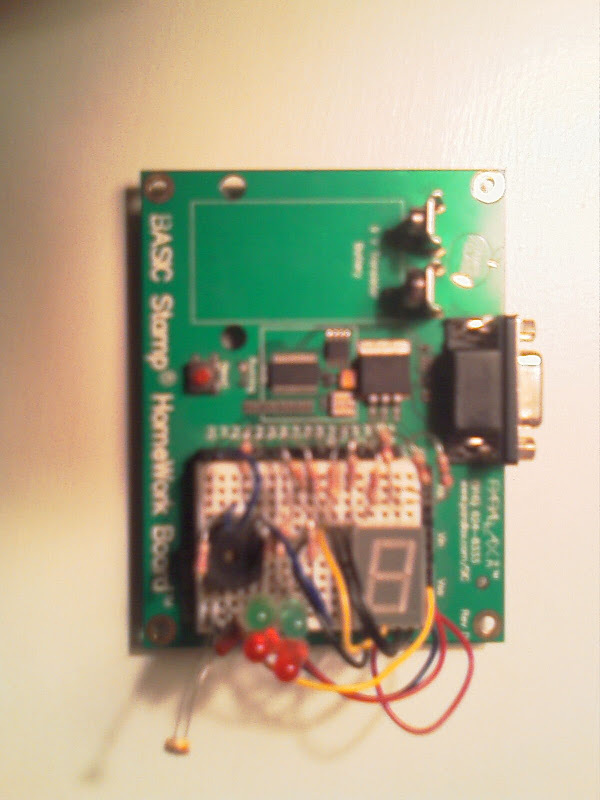 For those of you who aren’t familiar with the Basic Stamp, its a small microcontroller available from Parallax. It runs at a whopping 20Mhz and has a full 2K of storage on board for instructions. 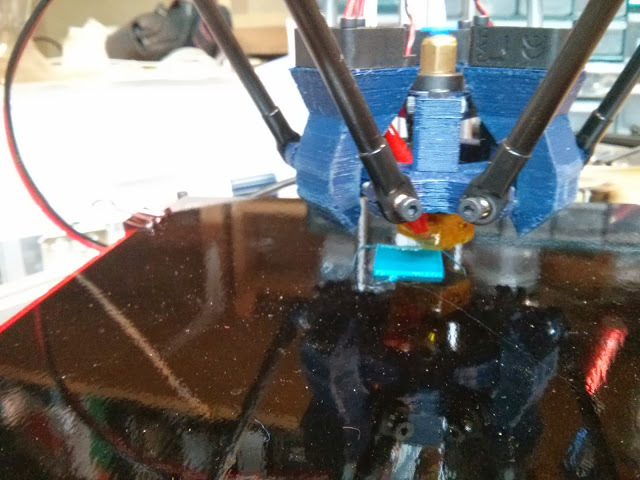 Although it may not sound like much, its more than enough to program the stamp to do some interesting things. The Basic Stamp is programmed in PBASIC, parallax’s version of BASIC the stamp interprets. Rather than waste your time explaining the coolness of the Basic Stamp, (if you’ve found this page you’re probably already interested) I want to focus on how it can be utilized under linux. 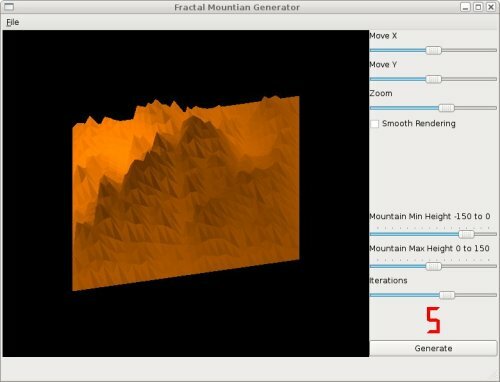 Currently, Parallax has a very nice PBASIC IDE but its available for windows only. It can however be run under Wine, and with the proper font settings it doesn’t look too horrible and is quite functional. But what is the fun in that? If you’re more of a ‘vim’ guy like me, there’s a better alternative. A quick visit over to sourceforge and you’ll find a set of command line tools available for download that make it easy to tokenize code and send it to the stamp without needing to reboot into windows. After downloading the tarball, unpack it and move into the directory. 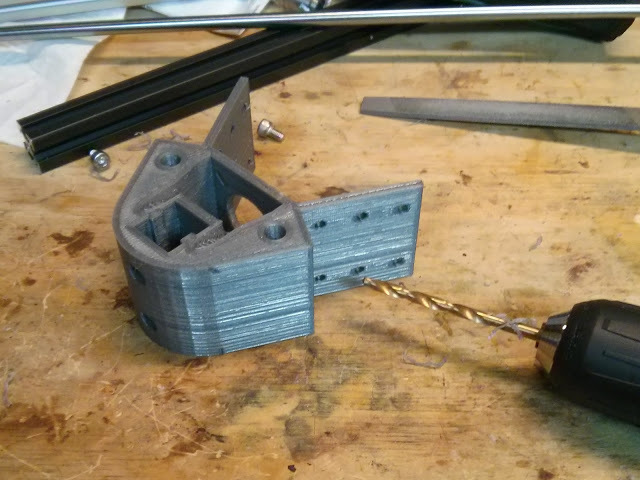 All you need to do now is build it, and it shouldn’t require much more than a simple ‘make’. The last step is to make a symbolic link to whatever serial port your stamp is hooked up to. In my case it was /dev/ttyUSB0 because I’m using a serial to usb converter, but for a regular serial connection its likely to be /dev/ttyS0 or /dev/ttyS1. The symlink needs to point the serial device to a new location, /dev/bstamp. If at any point you encounter any problems, don’t forget to check out the README.txt that comes with the program. 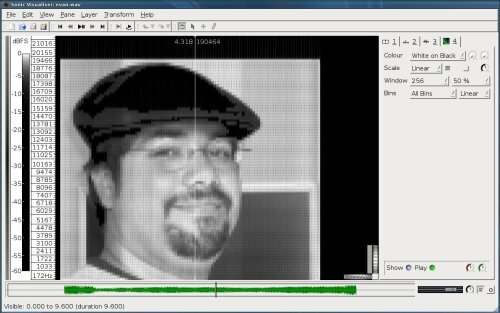 Now you just need some code to tokenize, as an example here’s a simple program I wrote that does nothing more than monitor the light levels off a photo resistor and produce output accordingly. (It beeps and blinks!) Its certainly not the most beautiful code, but it does the trick. Now I’m gonna assume you’re using your own code since my code is kind of worthless without a corresponding schematic, but I guess it could be figured out. Since I don’t feel like drawing up one I’ll just post a picture and if someone wants to try and figure it out they’re welcome to. (Sorry but they’re terrible pictures, I’ll try and get better ones up as soon as I get a chance). Otherwise the process of tokenizing the code and writing it to the stamp is quite straightforward. If you run into any problems, be sure to verify you’re working with the correct serial device. Try a ‘dmesg | grep ttyS’ and see what it brings up. Or replace ‘ttyS’ with ‘ttyU’ if you have a USB connection. Picked up a couple of the newer R9 290s to add to my mining rig recently and encountered a number of problems with the latest AMD/ATI drivers as well as cgminer. It seems to be fairly common for the latest drivers to cause issues on both Linux and Windows . The fact that cgminer no longer supports GPU’s compounds the issue, but it is a fixable problem. The latest beta drivers (13.12)need to be patched to keep them from crashing and failing entirely. More information on such can be found here. Someone was also nice enough to provide binaries for Ubuntu. If you can get that far, you’ll quickly find that cgminer will crash upon exit (use version 3.7 and earlier if you want GPU support as its been dropped), and lock the GPU resource (fans will continue running for example) until reboot. 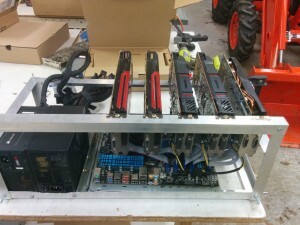 This means cgminer isn’t capable of handling the latest series of graphics cards. The solution involves compiling cgminer from scratch and fixing the adl calls or just disabling anything related to temperature and fan control — a bad idea considering how hard mining is on video cards. Its critical to monitor and control temps or risk destroying very expensive GPUs. So based on information attained here I went ahead and recompiled cgminer with the latest and greatest SDK and AMD drivers — it works perfectly now. No more crashes on exit. However I had some issues when I actually installed the SDK and compiled cgminer, it adds a number of things to /usr/include and /usr/lib and they ended up causing hardware recognition issues for me on Ubuntu 13.10. In the latest versions of AMD/ATI drivers, the SDK is ‘included’, however in practice cgminer won’t find it without specifically pointing to it. The solution was to fix adl.c in cgminer, and point to local user space copies of the latest SDK for ADL and openCL recognition/compatibility, without actually installing them. This provided access to all 5 GPUs from userspace, without even needing sudo. I highly recommend NOT installing the 6.0 ADL if you are in a similar situation, I encountered endless issues with such, since the drivers technically already include the SDK. Last but not least here are some good settings for a PowerColor AXR9 290 4GBD5-MDH/OC Radeon R9 290. I’m getting about 875 Kh/s out of these particular cards with this setup. This seems to be near the top of the list for similar setups. But thats running one of the cards fairly hot. Personally I like them to run a little cooler so I had to adjust my cooling a bit to make up for the difference. Lowering the intensity down to 19 and the powertune down to 10 yielded me lower temps but still respectable hash rates (840khash). 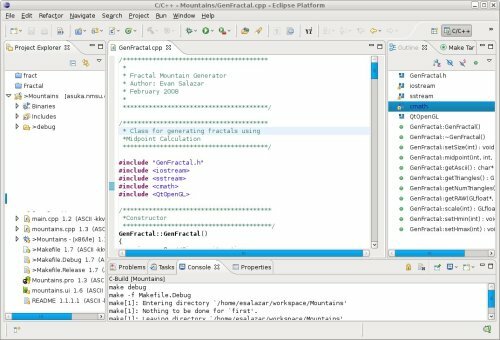 If you are having issues compiling, I went ahead and compiled a verison of cgminer with the adl fixes and the latest and greatest sdk. It should work on most 64 bit ubuntu systems with the latest AMD/ATI drivers. You can download it here. 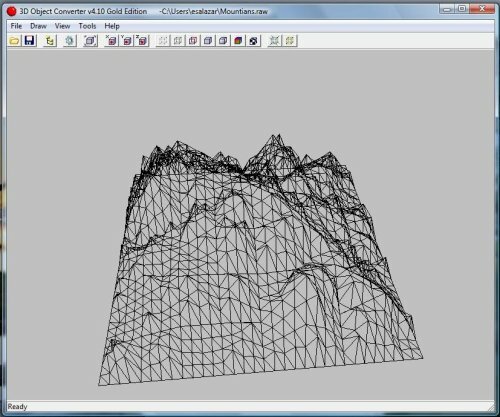 By modifying a and b over the period t, a wide variety of fascinating curves can be drawn, some of which look almost 3D! 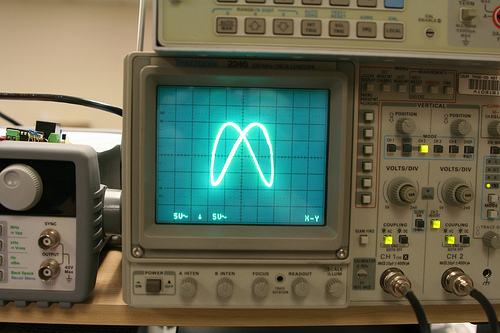 In the lab, an oscilloscope is the ideal instrument for plotting x and y coordinates. 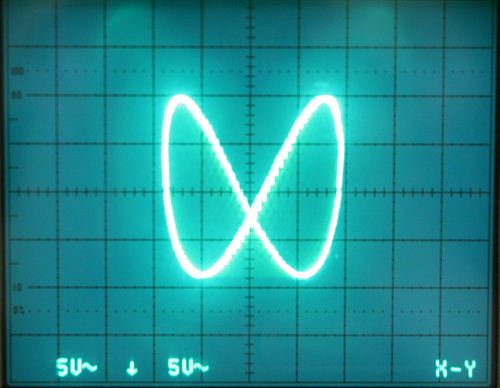 Typically, an oscilloscope will plot the voltage of an primary input on the y axis vs. time on the x- axis. 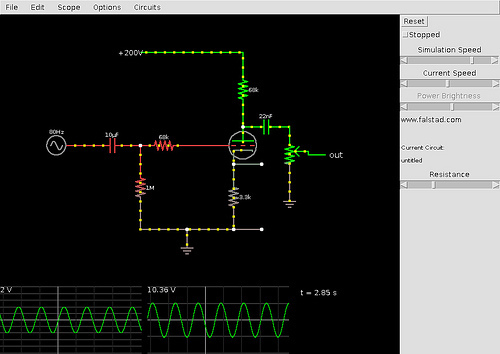 However, most oscilloscope will allow you to supply an external input that will allow you to directly control the x axis. 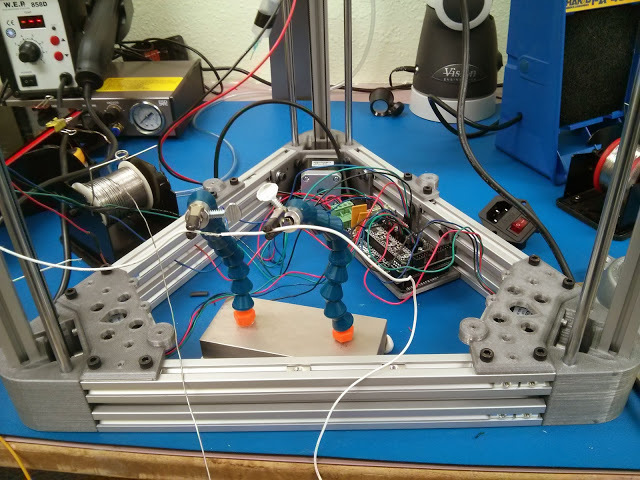 We can connect a function generator to both the x and y axis and begin to draw Lissajous patterns. By shifting the frequency and phase of the signals, you can get different shapes. However, even at the office we don’t yet have two (working) function generators which can be phase locked. In the picture above, you can see that we’re using a HP33120A and a HP 200AB. The 33120A has a trigger input, but no such luck for the old-school 200AB. With some fiddling, they can be brought into phase, but it’s much easier and more fun to build our own frequency generators. That’s where the DAC Shields and an Arduino come in. The DAC Shield has inputs for positive and negative power and an output for the signal. For this exercise, we’ll be using two bench power supplies (Mastech HYB3003 and Mastech HYB3003), but you could also use two batteries. The output of one shield is connected to the X-axis input of the ‘scope the other is connected to the Y-axis. 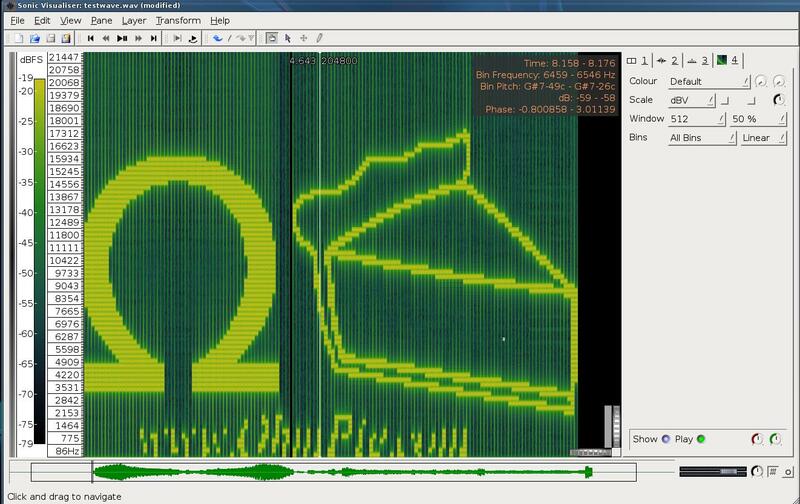 On the Tektronix 2246 shown here, channel 1 can be set to drive the X-axis. 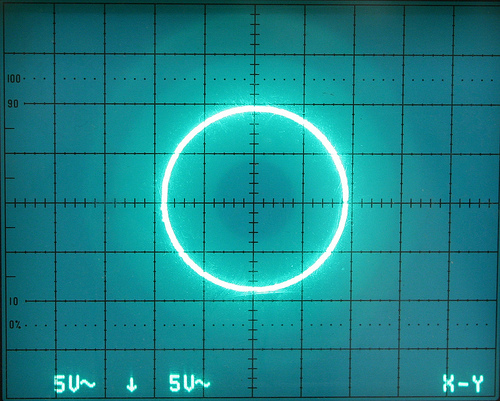 The trick to initially plotting a circle is to make sure that the amplitude of both axis move the cursor equal amounts, so make sure to set both “volts/div” settings the same. To start with a circle we simply write a program that generates a sine wave at a given frequency on channel 1 and then creates a second sine wave on channel two which is 90 degrees out of phase. While this pseudo code is close, some considerations have to be made due to the discrete nature of the DAC. 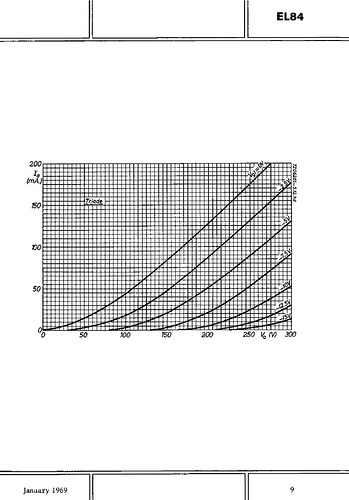 For instance, the resolution of the DAC will determine the value of the minimum output, zero and the maximum output. In this case we have a 12bit DAC with positive and negative supply rails at 10 V and -10V, respectively. Writing a “0″ to the DAC will result in an output of -10V. Similarly, writing “2048″ will output 0V and “4096″ will output 10V. Where t = 0 would be 2047, t=pi/2 is 4096 and …. 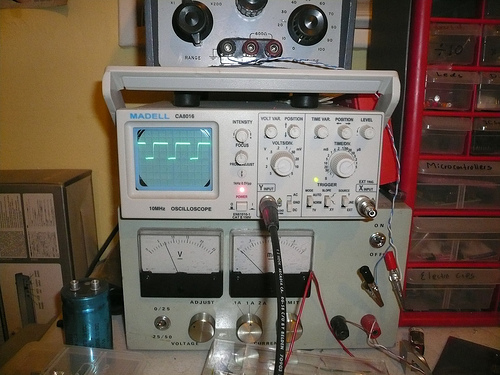 Another consideration is the base frequency for the sine wave; this will depend on how fast you can write to the DAC and how many cycles it takes to compute the sine wave. Inserting different delays between samples of the wave generates different frequencies. 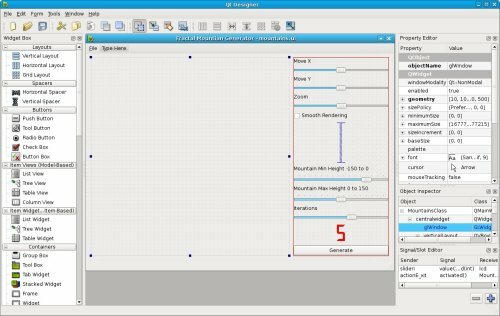 For example if you the second channel is doubled in frequency from the first you will generate the following shape. Also by increasing the phase of one the the sine wave though every iteration of the loop the figure can be animated as seen here on a Rigol MSO4050 in which we are evaluating. 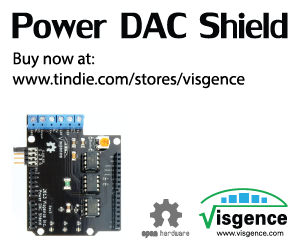 Example source code and schematic for the DAC shield can be found on Github here, Also the Power DAC Shield can be purchased from Tindie. 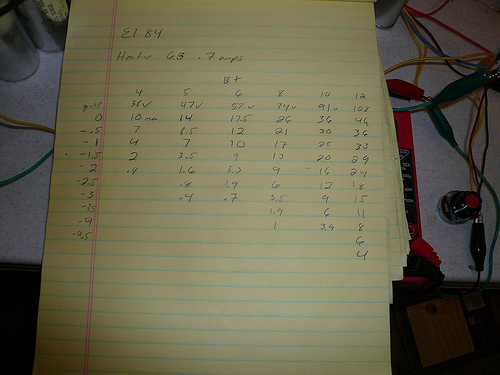 Previously I tested a El84 using series of 9 volt batteries to generate the high B+ voltages. While it was very simple by nature, it still fell short of the desired voltages that are required to make a useful audio amplifier. Normally the solution to this problem is to use a step up transformer and rectify the mains current. These transformers are not cheap, very heavy, and costly to ship, but above all I did not have one at the time. Another option is direct rectification of the mains AC. This technique has been used in radios of the past and is extremely dangerous! Without a fuse this circuit will draw as much current as you house will deliver. Also the ground of the circuit will be directly coupled to the neutral of your home. If you use a non polarized plug or there is a mis-wiring of your outlets, the ground of your circuit would complete a direct 120v path with the “ground” of another circuit. 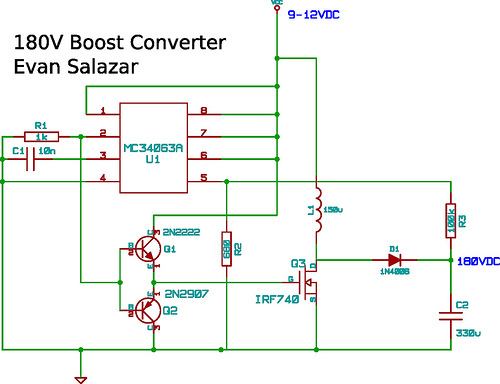 So for initial testing I decided to go with a boost converter. The operating principal of a boost converter is very simple, am inductor is charged and then released though a diode to charge a capacitor. This principal is used in switch mode power supply units. 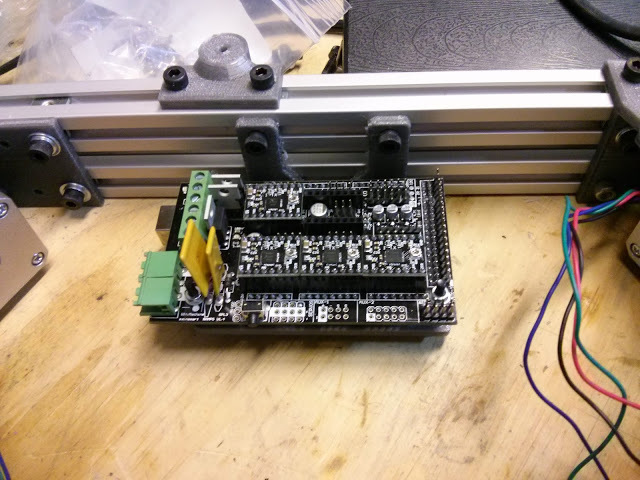 Most switching regulators are designed to work at lower voltages, say bump up a 5V supply to a 12V supply. I have a few MC34063A switching regulators I bought a while back for the exactly purpose of running 12V out of a couple AA batteries. This devices is only rated to 40V. 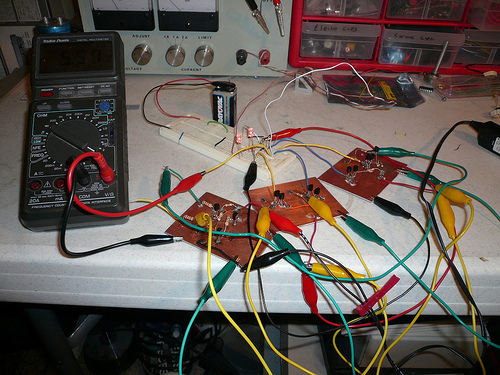 So I had to add some supplementary components in order to ramp the voltage over 100V. 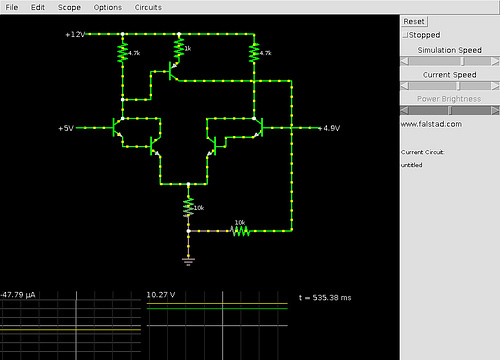 To do this I did the switching using a IRF740 MOSFET. At first I tried driving the opamp directly from the regulator. 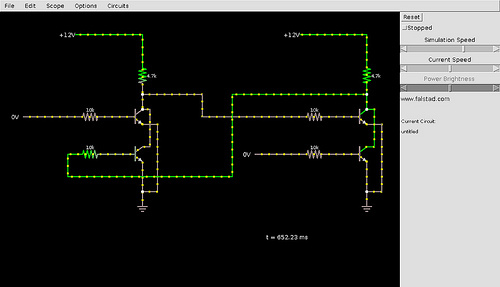 In simulation this would work however I discovered that real MOSFETs have a fair amount of capacitance at high frequencies that will create a lot of resistance. 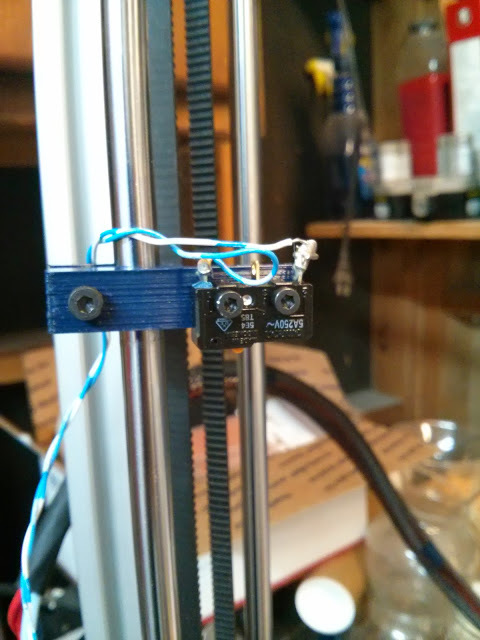 So I had to create a MOSFET driver. For this I chose a 2n222 / 2n907 NPN/PNP pair. When working with high voltages it is important that all the components are rated appropriately. 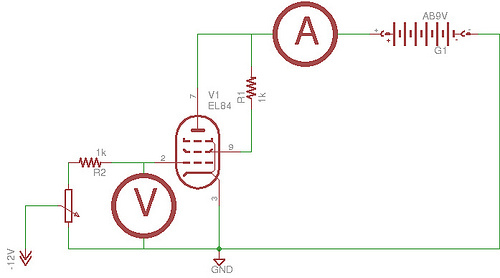 This is espcially important for the capacitor and diode following the MOSFET. The capacitor I chose was surplus disposable flash capacitor rated at 330V with a capacitance of 270uF. The diode is a simple rectifying diode, I may have had better performance with a Schottky diode however all the ones I have were not rated for voltages this high. 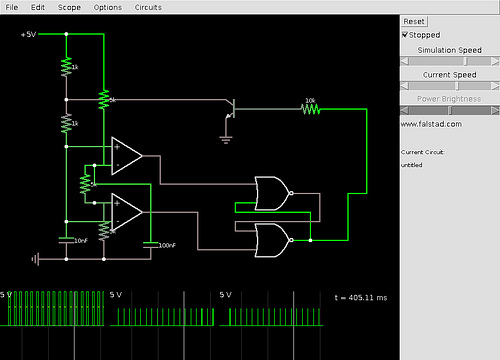 For designing the audio amplifier I went back to the circuit simulator. Falstad’s simulator has a triode and the it’s model parameters can be edited by exporting and re-importing the circuit file. I asked Paul how to change the characteristic of the tube and he replied with the model that he used to simulate the triode that is as follows: ((Vgk+Vpk/mu)^1.5)/kg1 where Vgk = gate-cathode voltage and Vpk = plate-cathode. In order for me to simulate commercially available triodes I needed to find kg1 and mu values that would get me close. 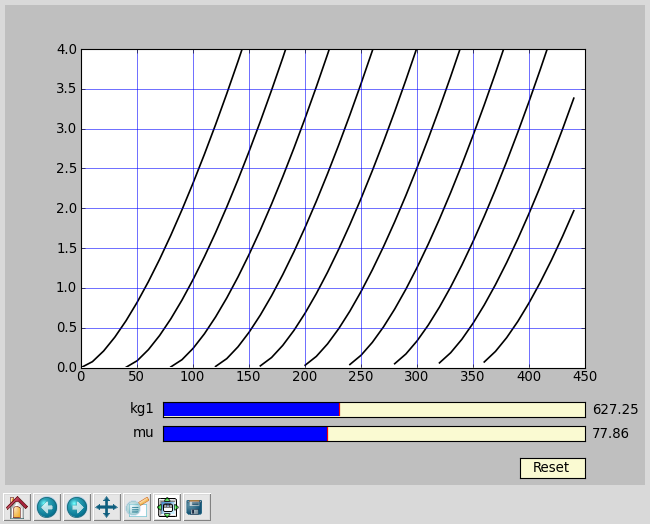 For this I wrote a python program using matplotlib to allow me to play with different values and visualize the results. Below are a couple screen shots. 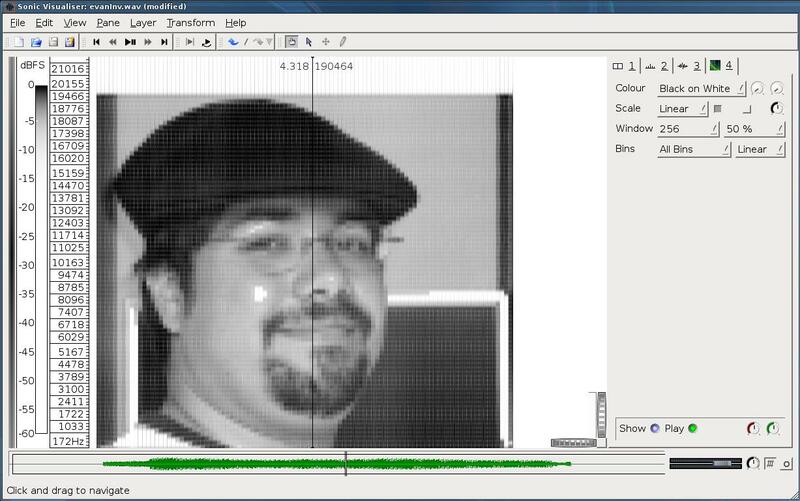 The source code for this project can be found on my Github account under Tube Plot. 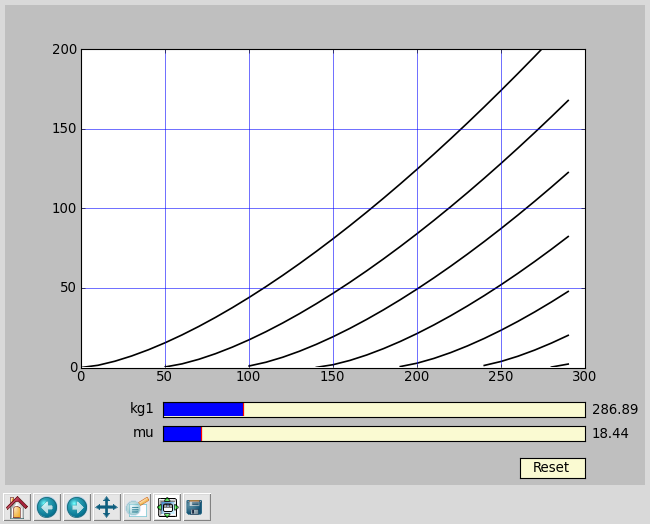 This code was developed on Ubuntu using python 2.6.5 and matplotlib. After finding values that were close to the original data sheets (at least for the voltages I intended to run) I then did some simulations. Now that I ran some simulations I deiced to try building it all out. 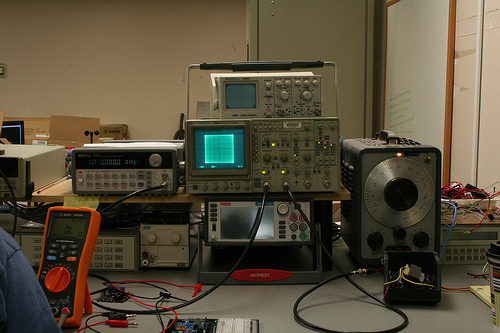 First I tried using the switching power supply and only the power amp state using a function generator as the preamp. While this did work, it was very stressful on the boost converter. A lot of current had to be drawn. I spent about a day or two playing with different inductors and switching frequencies to get optimal efficiency. 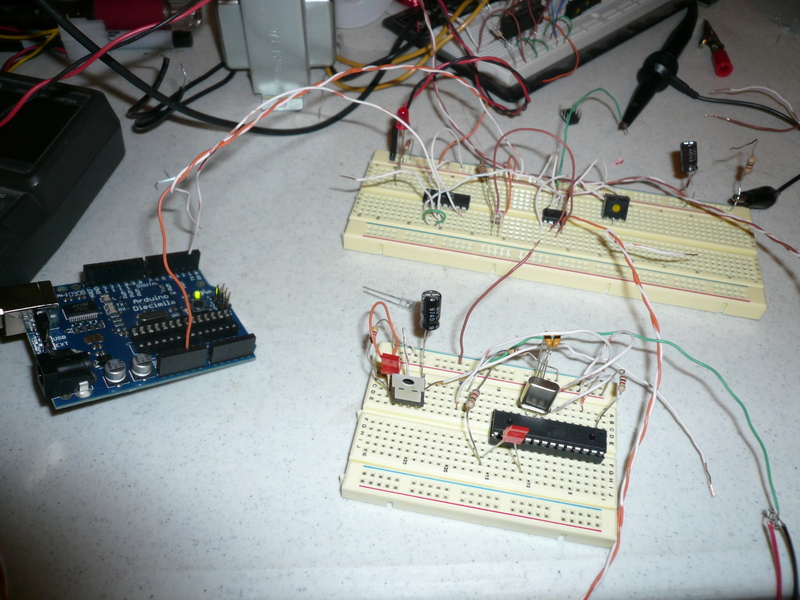 In this time I blew a couple mosfets and diodes. Eventually a ham buddy of mine gave me a step up transformer to play with so I deiced to make a traditional power supply. I used a broken PSU as the case so I could recycle the power connectors and power switch. I also added a fuse along with the rectification circuit. This PSU reads arround 200v unloaded and 180v loaded, about the same as my switching supply. 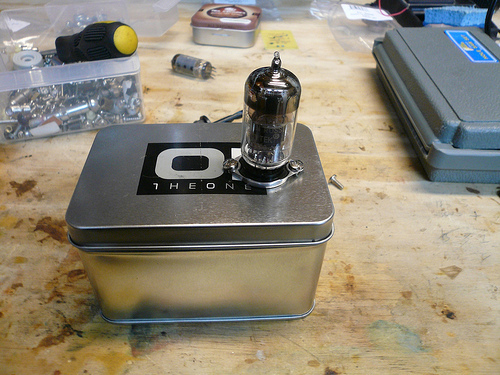 So I could actually play music from my iPod, I built out the 12ax7 preamp. Both tubes heaters are using a 6V battery in this test. So far everything seems to work well. In the video blelow I used an old Bose speaker and played some music. The song being played is “Against all Odds by” Brian Botkiller. The little pocket oscilloscope from Gabotronics is displaying the voltage ripple of the power supply. Before the 555 contest was announced I was reading the free online book 50 555 Circuits from talking electronics. I was very amazed with how much could be done with the 555 timer. So I decided the best way to understand the 555 would be to try and build one. First I looked at some generic block diagrams and also the schematic diagram published in the National Semiconductor datasheet. After I understood the theory, I tested it out in my favorite circuit simulator by Paul Falstad. This program should be up to the task of simulating at a very high level. So far so good, Next I needed to build an SR latch out of transistors. A SR or Set Reset latch consists of two NOR gates. When S is set high Q will stay high until S is set low and R is set high. This circuit is useful in itself for button de-bouncing. I did a simulation building out the latch only using NPN transistors. 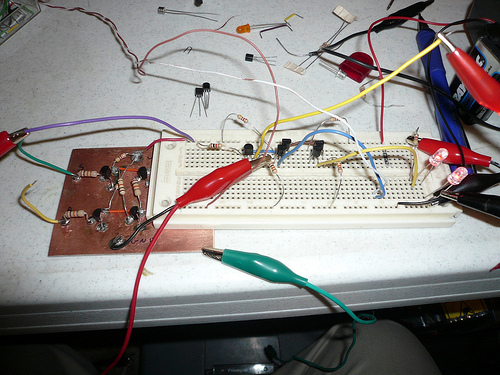 After tweaking the resistor values I went ahead started building out the circuit. For reliability and ease I decided to use the Manhattan Style of construction, a variant of of Ugly Construction. This style is very popular in the QRP Ham Radio community. 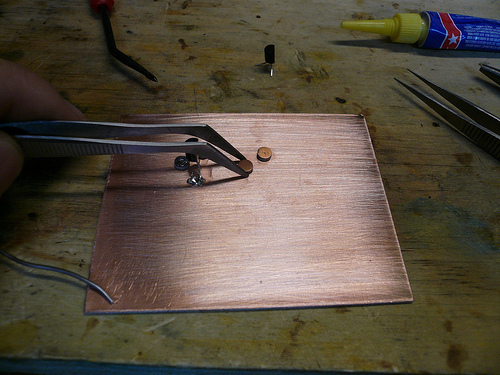 It consists of using little copper pads on top of a sheet of copper clad. It has many advantages including prototyping speed, high reliability, low noise, high frequency opearation, and last it allows you to mix and match through hole and surface mount parts. The disadvantages is well, it’s ugly looking. Using a cheap Harbor Freight punch I cut out all the the circular pads in two different diameters. 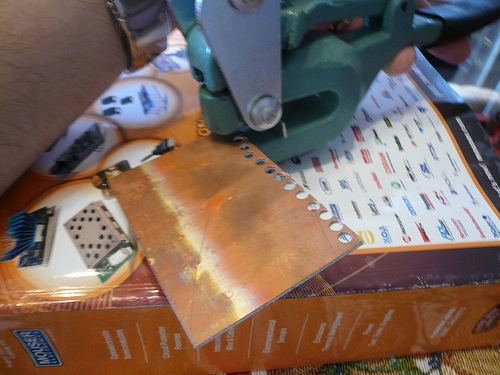 I then clean the corrosion off the pads using sand paper, This helps with soldering and gluing. 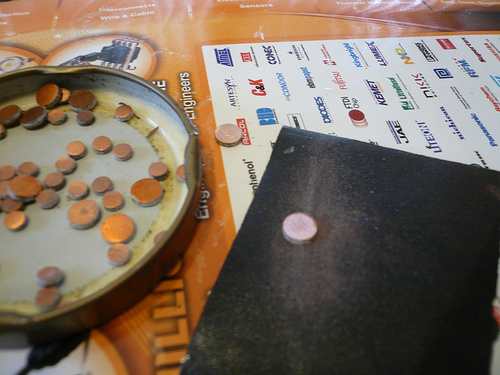 Pads are glued to the board with a generic super glue and then fluxed and tinned with solder. I can then cut and bend the parts leads in order to solder them to the board. All NPN transistors are 2n3904 and PNP are 2n2907. 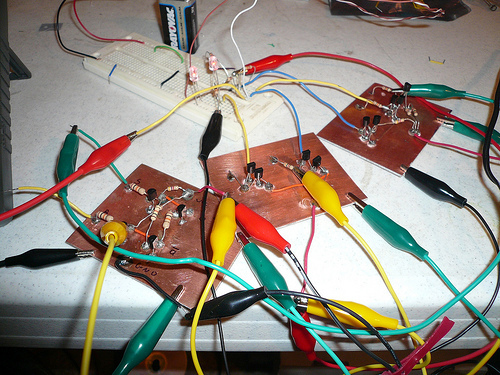 The circuit tested just fine, Now for something a bit more challenging, designing the voltage comparators. 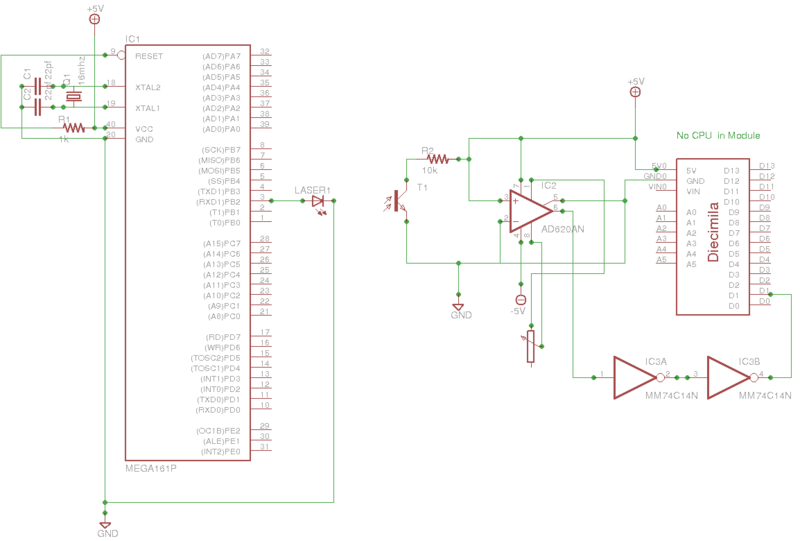 I looked at some transistor op-amps schematics along with the LM555 data sheet schematic. 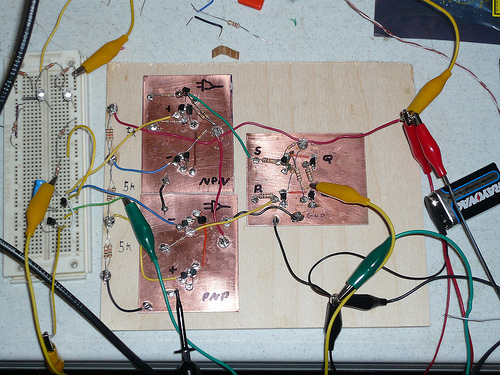 The first op amp appeared to use Darlington pair NPN transistors. 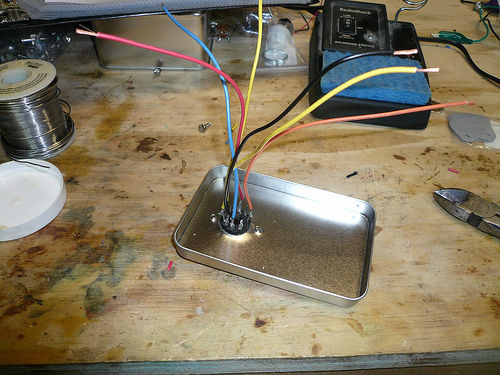 I simplified things a bit by directly using resistors instead of current mirrors. I played with a few variants of the circuit and decided on the one below. Since I was not too confident about how it would work I tested it on a breadboard first. My major concerns were if it was going to be able to drive the SR latch and if the imperfect current gain (Beta) would throw off the comparator. When the negative side was connected to the reference and the positive was to the variable power it worked great. However the opposite was not true. 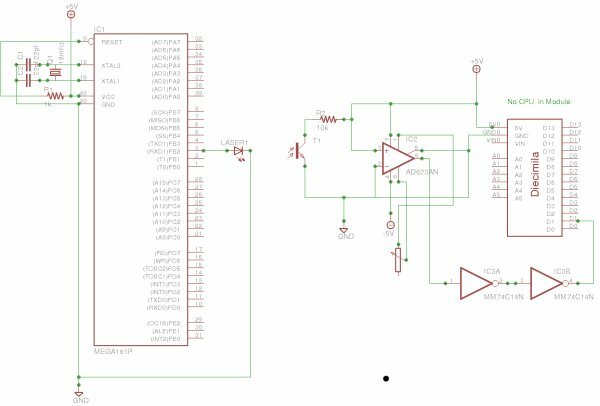 Looking back at the data sheet it appears the LM555 uses PNP transistors for the second voltage comparator. I was hopping I could just build two of these and move on. So I had to go back to the simulator and play with some other designs. The Transistor on the right is not part of the voltage comparator but there to simulate this interfacing with the next stage. When I interfaced with the SR latch I bypassed the 10k resistor connected to the base. Here I am testing both comparators connecting to the SR latch. 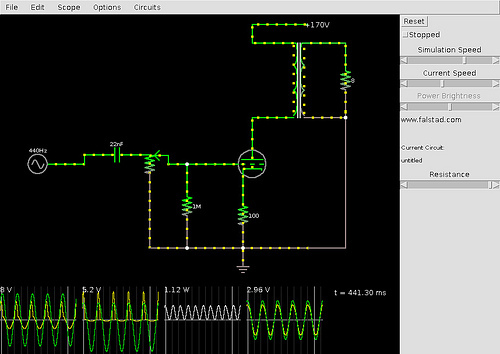 The reference voltages is coming from three 22k resistors on the breadboard. The top refrence should be (Vcc *.66) and the bottom is (Vcc *.33). 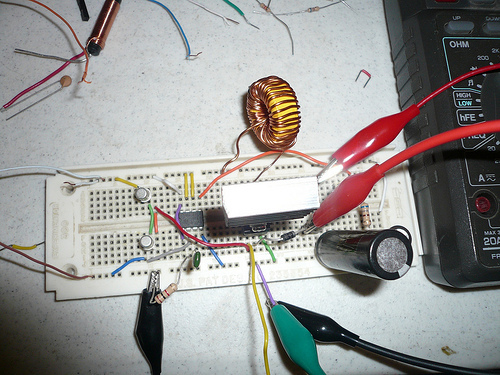 Vcc is a 9v battery and the input was a variable power supply. Besides having a huge mess of wires everywhere it seems to work out just fine. The switching is not perfect on 3 and 6 volts but this is probably because the battery is not perfectly 9v and the resistors are not perfect. Here is the final board with all the modules cleaned up and soldered together with the the series 5k resistors on the board. It should have been obvious before but this was the first time I realized why this device is called the 555, it has to be because of the three 5k series resistors that govern how the device behaves. 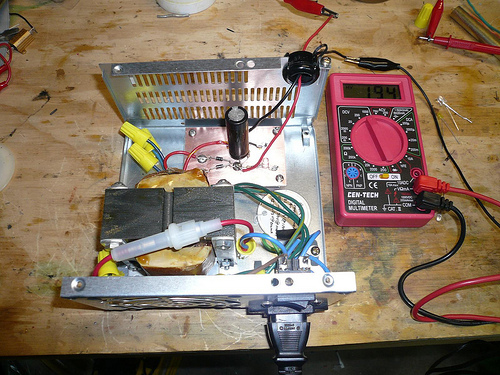 The transistor to drain the timing capacitor is on the bread board. 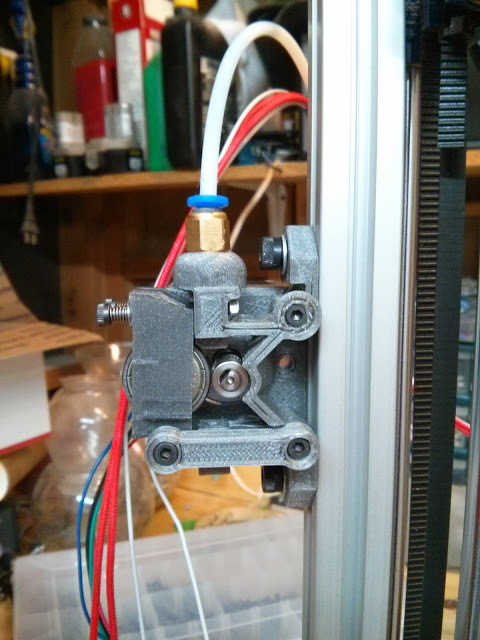 It was not possible to drive it directly from the latch so I had to use another transistor as a voltage follower. In the video clip it is wired as an astable oscillator with R1 and R1 at 1K and C1 = 470uF and it looks to be working satisfactory. Here it is running much faster, R1 and R2 are still 1k but C1 is now .015uF. 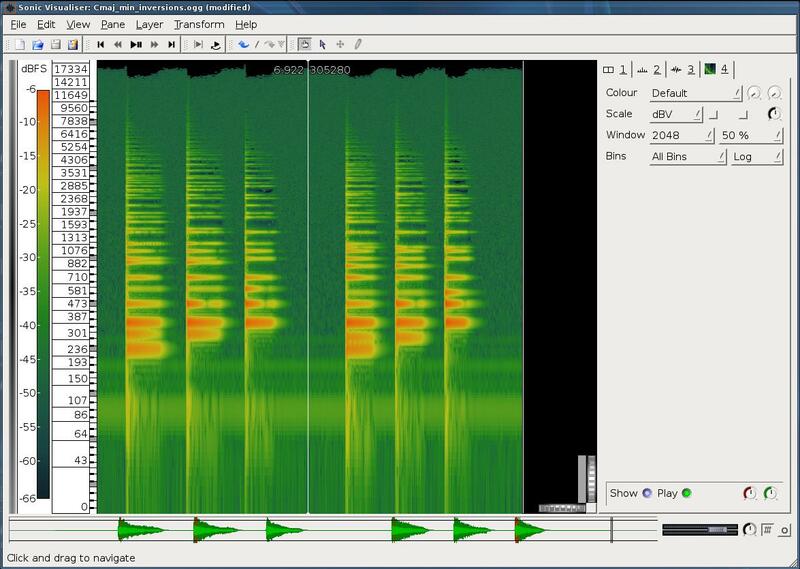 That should equal 34.44khz with a duty cycle of %66. 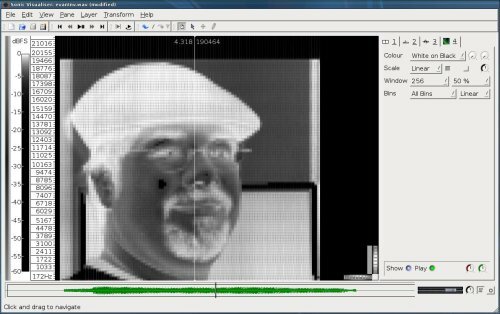 From the scope I roughly measured 31.2k and visually it look to be about %66. So I would say this is functionality correctly. 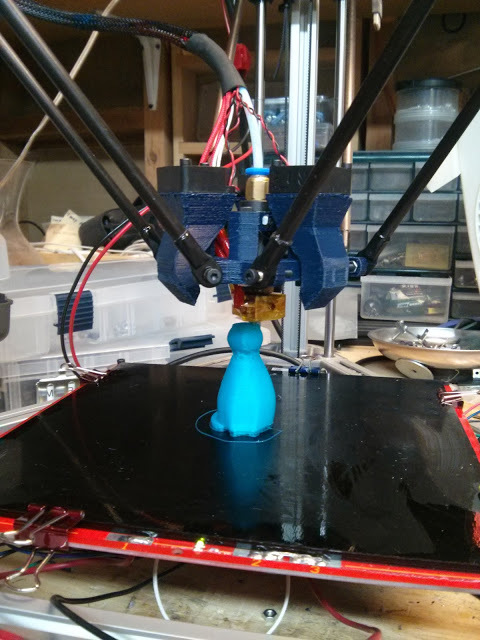 So after three weeks and using 15 BJTs plus some sacrifices to error I have a huge 555 timer. 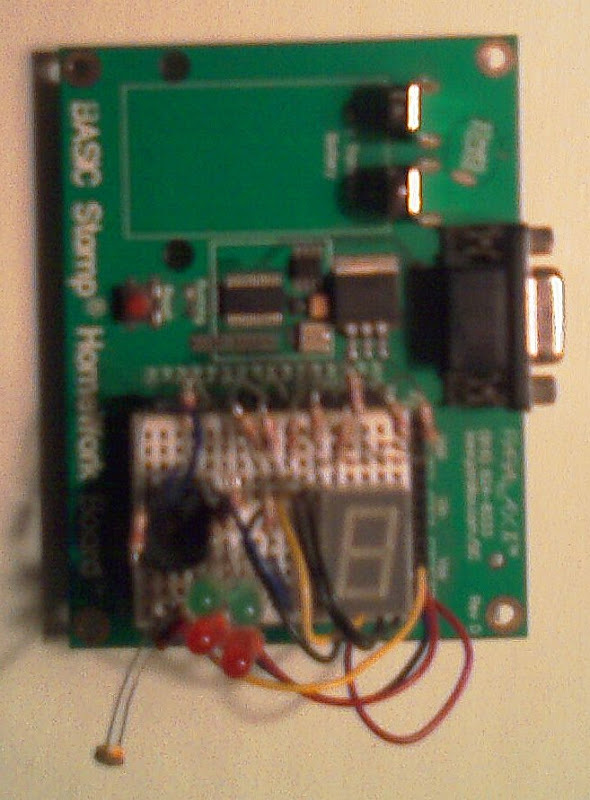 This particular design does not have the output buffer stage but than can be added easily and not need for this testing. In the unlikely even’t 555s no longer exist I am prepaid. More importantly this project has really help me understand analog circuity, an art I feel that is an art that is dying fast in the digital world. I hope this information proves to be useful or at least inspire. Maybe I will tackle an LM741 next. You can see the full photo set on my Flickr page. 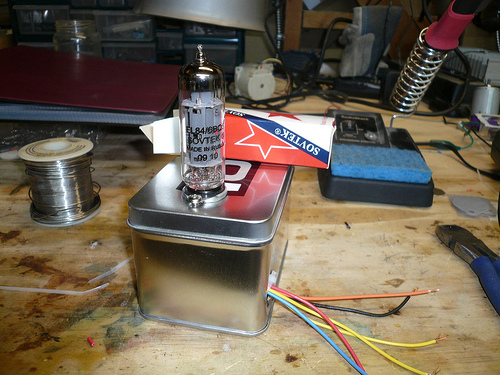 I have always been interested in vacuum tube amplifiers, however the high voltages from the mains has always kept me from experimenting with them. 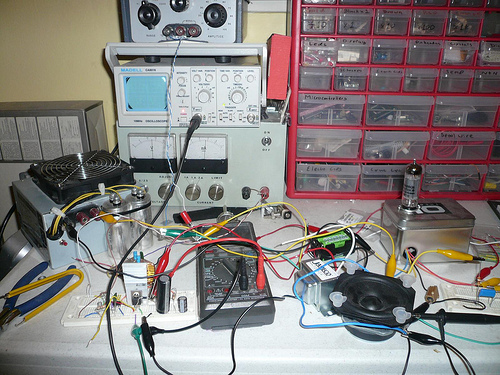 About a year ago I played with an low power tube the 1t4 in a regenerative receiver. 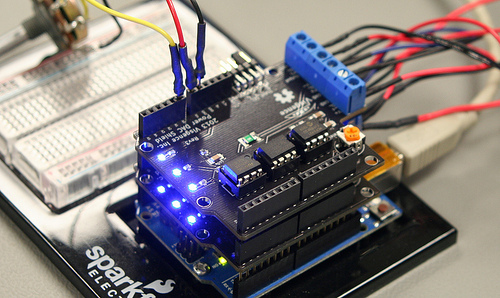 The B+ was set to 45V powered from an array of 9v batteries. 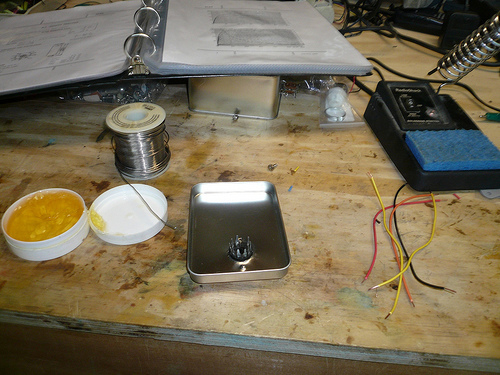 I decided to revisit an old guitar amplifier project I started in high school using an EL84 power pentode. 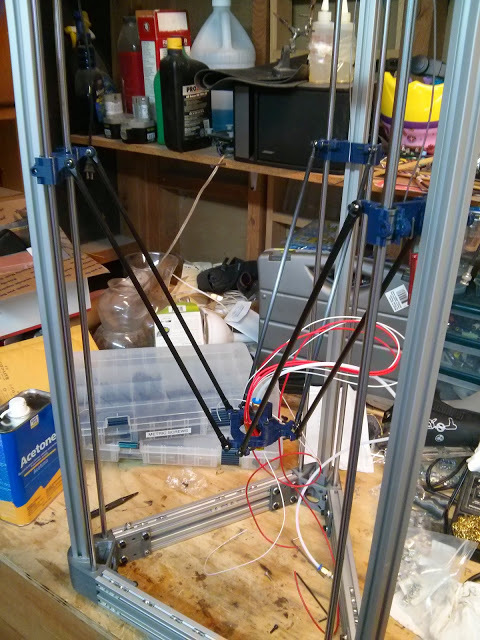 The first part was to figure out a way to mount the tube so I could experiment with it. 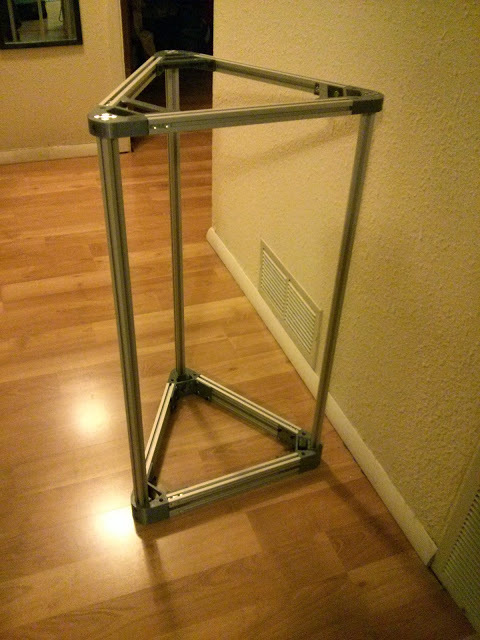 I found an small metal box that worked well for mounting the tube socket. 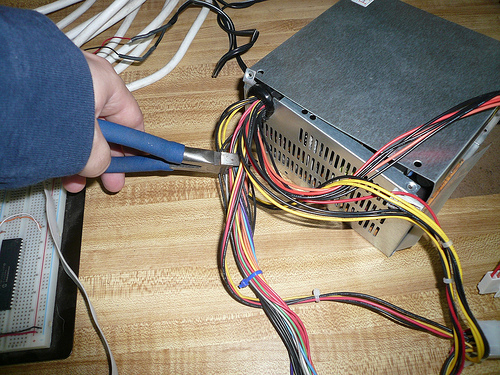 I then took some wires from a broken ATX power supply and soldered them to the tube socket. 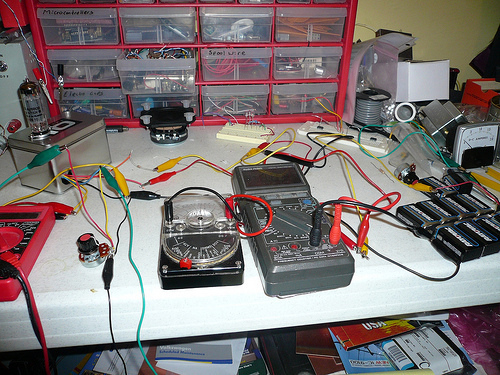 After I had everything assembled I brought it to the test bench and wired up the test circuit below. I measured the current at the anode versus the voltage at the gate. I kept adding 9v batters to the B+ supply and noted the results. Below are the results I noted along with a graph. 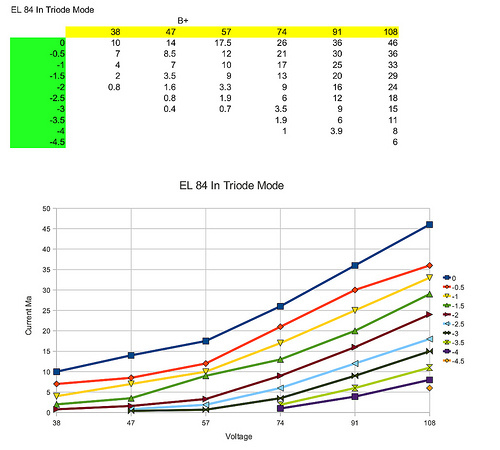 I also included the triode configuration graph from the original datasheet. 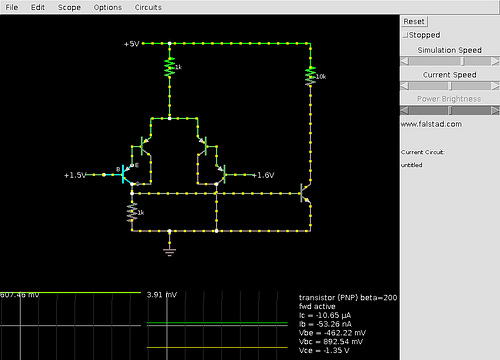 So far the data looks consistent with the original datasheet for the tube in triode mode. The tube can sink a lot more current when VG2 is around 350V running in the full pentode configuration. Even with all 12 9V batteries I might be able to drive about 1watt of audio to a speaker. I was also surprised that the heater alone took around .7 amps at 6.3V. This is definitely not the most efficient way to drive a speaker I hope to get an proper impedance matching transformer so I can hear how it performers soon.